If you’ve ever been to the Southwest, you’ve probably seen chaparral at some point. Indigenous to the Southwest area of the USA and the desert areas of Mexico, chaparral may be one of the most potent herbal antioxidants. Native Americans have used leaves from the chaparral plant for centuries. In fact, some tribes claim it to be the very first plant ever created. Exactly how this herb works is open to debate; however, most credit one of the main active components of chaparral, nordihydroguaiaretic acid, or NDGA, as a key factor. NDGA has antioxidant properties and is considered an anti-cancer agent. The plant also contains lignans that give it healing and anti-aging properties. If you research natural cancer alternatives, you’re bound to come across chaparral. According to Sam Biser, author of Sam Biser's Save Your Life Collection: A Layman's Course in Curing Last-Stage Diseases, the herb seems to work against cancer cells by preventing them from “eating” the blood sugar they need to survive - basically it starves the cancer cells to death. A medicinal tea form of the herb is also used in natural cancer treatments and to help cleanse the blood. The herb is a powerful blood purifier, which is why you’ll find it as an ingredient in Jon Barron’s Blood Support formula. In addition to its potential anticancer properties, much is also written about chaparral’s antioxidant value. In John Heinerman’s book, Heinerman's Encyclopedia of Fruits, Vegetables and Herbs, he says “...it seems like a good idea to take one chaparral capsule after consuming a Big Mac and French fries in order to offset some of the damage all of those free radicals you've ingested are capable of doing. And while chaparral may not hold quite the same promises expected of ginseng for longevity, it can certainly help to slow down the aging process quite a bit from the foods we eat on a daily basis." You’ll also find it as an ingredient in Jon Barron’s Ultimate Antioxidant formula. Leaves from chaparral plants clean the lymph system. Studies show that the chaparral plant may also inhibit cell proliferation as well as DNA synthesis. And, as a result of its strong antiviral properties, it has been used in the treatment of both herpes and shingles. What may surprise you most about chaparral is that you’ll often find this herb on everyone's blacklist. According to the FDA, chaparral has been linked to serious liver damage. The FDA has recorded two deaths and 10 cases of hepatitis or other liver abnormalities in users. The reality of the situation, though, is that the evidence for chaparral liver toxicity is anecdotal. It is not the result of any double blind studies or of any clinical trials. For example, one of the cases the FDA likes to single out can be found in the Journal of the American Medical Association (273 (6):489). The details of the case concern a 60-year-old woman who developed jaundice and liver failure while taking one to two capsules of chaparral each day with a pinch of garlic in a tea made from nettle and chickweed. The authors of the JAMA article concluded it was the chaparral that caused the liver problems. What is fascinating is that the patient in question was also consuming atenolol, aspirin, was on a nitro patch, and occasional acetaminophen, as well as diltiazem hydrochloride - all drugs with profound hepatoxic potential. Amazingly, none of these other substances was even considered as a possible cause of the liver problems by the authors...or the FDA. What a surprise! Rare reports of serious liver disease have been associated with ingestion of chaparral. Seek advice from a healthcare practitioner before use and, in so doing, inform them if you have had, or may have had, liver disease, frequently use alcoholic beverages, or are using any medications. Discontinue use and see a doctor if vomiting, fever, fatigue, abdominal pain, loss of appetite, or jaundice (e.g., dark urine, pale stools, yellow discoloration of the eyes) should occur. So, is this remarkable native California plant now sold freely in the marketplace and used to benefit ailing people all over the world? Hardly! Search for "chaparral toxicity" on the web and you will see numerous articles still announcing the dangers of the herb (all citing the same cases from the early 90's.) Or try and buy chaparral in Canada or much of Europe. The problem is that once an herb is labeled dangerous (even if disproved at a later date), the stigma remains - and is brought up over and over and over again... acquiring truth through repetition, if not fact. Fortunately, despite the bad press, the chaparral plant, or larrea, is at least available (for the time being) in the United States. 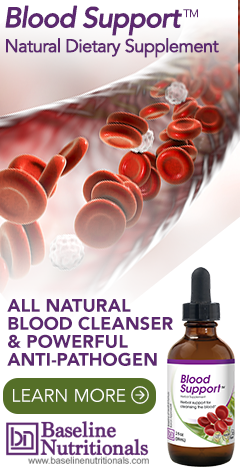 Learn more about blood health and blood cleansing methods. I've been browsing online greater than three hours these days, but I by no means discovered any fascinating article like yours. It is beautiful. In my opinion, if all webmasters and bloggers made good content material, the internet will probably be much more useful than ever before. Jon, as always, thank you for your no nonsense/common sense approach. I can always count on your articles to be accurate, truthful and informative. I had a wonderful dream that an old medicine woman was sitting in top of a mountain and she was showing me a huge long list of important healing herbs and the second in the list that stuck outnumbered to me was Chaparral! Now if my dream told me and the spiritual medicine woman told me then I needed to go d it more about this herb for sure because u was not familiar with this one just yet. So I have heard many stories about the FDA banning herbs that are of benefit usually the big pharmaceutical companies are involved wth blocking the truth to keep the drugs prevalent and ignorance strong as with Kratom and Opiates this last year. I’m very glad I found your article to help explain the story behind the liver toxicity issue. Thanks again ! GOOD day infact i would like to know more about chaparral how to grow it and where to find it because its a great medicine. A few years ago, coming from Colorado, my husband and I were camping by the Hoover Dam. My husband who was studying herbology noticed we were surrounded by chaparral and since I am always curious I started to chew on the leaves. Around that time I was having low back problems which was aggravated by the car ride and camping. Next morning: no more back pain!!!! I never forgot that plant, you talk about hands-on learning. You cleared that crap from the FDA very clearly! I do know of Natures Way back in the 60's, when they were still forming their Herbals, the mother of the head guy, had cancer, and someway they went to the real source in the desert and picked the Chaparral, she actually was saved and lived for over 18 yrs or more! On a daily basis for nearly 15 years, I drank very strong chaparral tea from dried leaves. I heard it was very good for acne (adult acne in my case) so I decided to try it. It was great! It was very effective and I never suffered any kind of adverse effect from it. Then very suddenly it 'vanished' from the store shelves. I appreciate you taking the time to fully explain what was really going on. Knowing chaparral's effectiveness in cleansing the blood, I would definitely use it again.